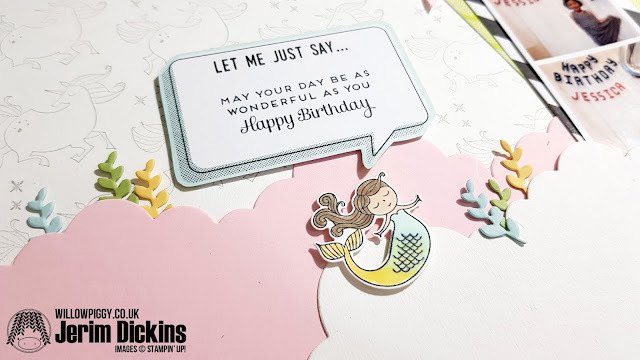 This month's Theme is "Color Challenge"
Pastels are my Fa-Fa-Favorite Colours!! 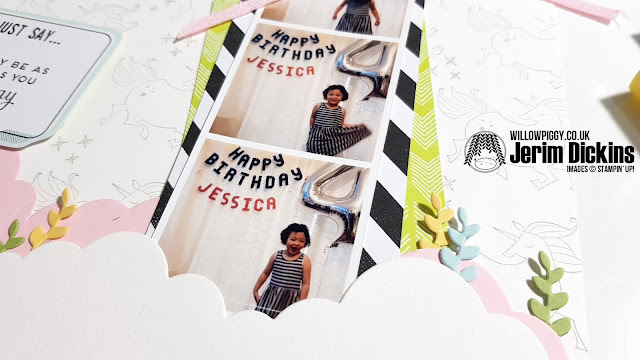 I wanted to make a page for J3-Jessica's 4th birthday day. So It was just perfect a theme for my page for today. The hardest thing about making this scrapbook page was to choose some good photos. Photos which had too many colours didn't match with the soft pink cloud that I used as the background, so I picked the photos which had soft pastel background. I chose 3 photos that had the same concept but with slightly different scenes edited to one frame. 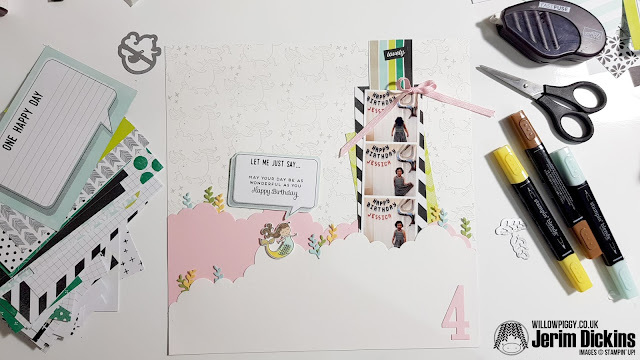 Because I used soft Background photo and cardstock, Everything seemed too pale, so I wanted to give some accent to the photo. 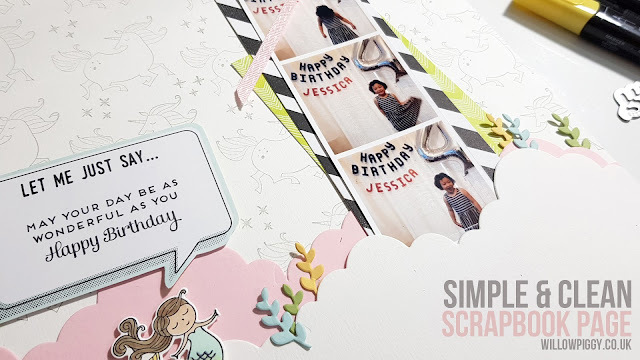 I've looked through all the pretty papers and I found perfect papers for this page. 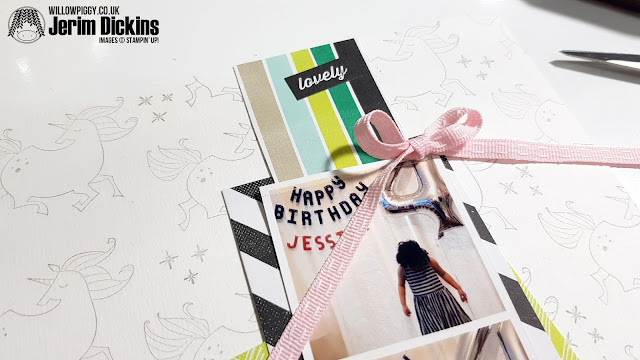 Perfect Days Card Pack has contained so many different design and 5 colours to match which are Basic Black, Emerald Envy, Lemon Lime Twist, Soft Sky, Sahara Sand. After decorating the photo, the background looked to plain, so I stamped unicorn image with a light grey ink pad, die cut out some leaves and little mermaid. I didn't mean to make this scene in my head, but when I finished it, now I can see this page as the scene of Sky-Sea! that cloud is the wave, leaves are seaweed and of course flying-mermaid! Thanks for visiting my blog today, there are so many amazing ideas and inspiration you don't want to miss. Remember that currently, you are on my blog - Jerim Dickins, so check the blog hop line up list to see who is next on the list.